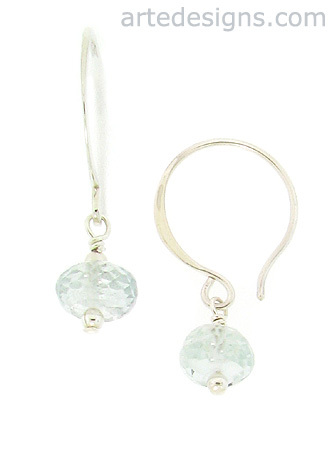 Every girl deserves a pair of simple, classic earrings with faceted blue aquamarine gemstones. Aquamarine is a very soothing and calming gemstone. It is believed to protect travelers, especially travelers on water. It is known to help reduce stress, overcome fears, and heighten intuition. No 2 gems are alike. Approximately 1 inch long. Sterling silver wires.